Pumpkin love light warm moist (21C to 35C). Don't love cool or very low temperatures. Pumpkin is very delicate to withstand cold. Loves well-drained soils like sandy loam soils with a high percentage of organic matter. Give high yields in soils which have pH 5.5 to 7.5(slightly acidic to near neutral is best 6.6 pH).It can also grow in clay soils without constant wetness. Can adapt to wide range of soils. Approx 1kg per acre seed required.1500-3000 plants required per acre.Select virus free and disease free seeds from the farmer. Approx seed germination time is 7-10 days. Below 100-120 days under full sunlight. If your soil contains more percentage of sand dig 30-60cm pits(length * width * height) for every 6 feet(pit to pit). Mix soil with compost/FYM and fill the pits. If clay soil is more. start preparing raised bed(120cms) or mounds/hills. Pumpkin needs more organic content in the soil. Grow green manure before the crop. Traditional practice is filling all pits with 8tons of FYM or 5tons of compost with 500kg of Neem cake along with topsoil. Sow 4 seeds in every pit/hill/mound. And thin to retain 2plants per pit or hill. 12days old saplings 1 per pit/hill can be transplanted if grown in pro-trays. Initial irrigation is needed before sowing. Irrigation will be required every week, especially before flowering. Maintain specific time every day.At least irrigating deep 20cm soil gives best results. Give mulch for soil if the climate is too hot outside. These plants don't like over irrigation. Overwatering, stagnation leads to several viral/fungal diseases. Radish deters fruit borers, Marigold attracts pollinators and deters bugs and beetles. Mint is said to help control ants, aphids, flea beetles, and rodents. If peel become hard or stalk becomes shrivelled or deep solid colour and the vines die back and turn brown then it's ready to harvest, Harvesting can be prolonged until leaves turn full yellow. An average yield of 10-14 tons of harvest per acre. 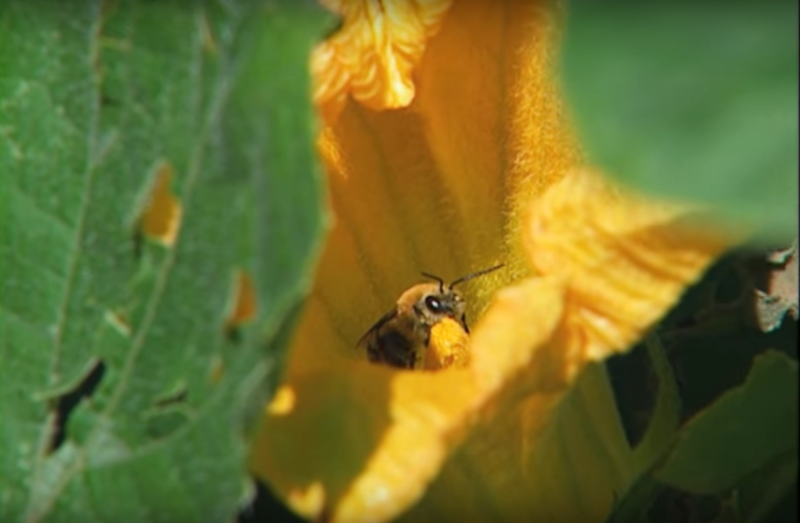 If female flowers are dropping, without turning into fruit means pollination is not happening in the field. We must do hand pollination with male flower by rubbing method or use brush or use cotton rubbing on male than on the female. Harvest pumpkin along with 3inch vein, this will give longer shelf life and prevent rotting. Blossom rot caused by hot weather, lack of moisture or calcium deficiency. Bury secondary vines in the soil, they develop roots and pulls more nutrients and give an adequate supply of nutrients to plant. 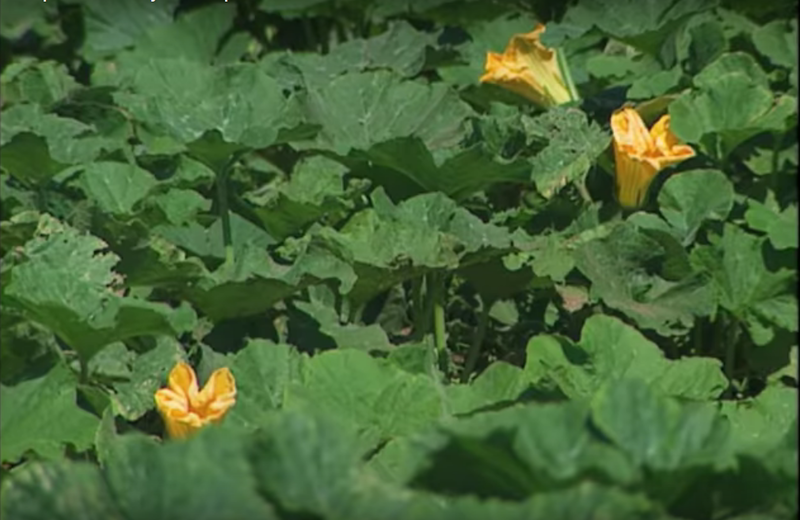 If you want to grow big pumpkins allow first two female flowers on a vine to pollinate, nip of all other flowers. When should we consider burying secondary vine? It's is optional, when secondary vein got above 3-4 leaves just keep a dung ball or mud ball. For how many female flowers one male flower can be used for hand pollination? Opposite way, if u rub with as many male flowers on a single female flower that would be best. By secondary vine you mean suckers? Ya same like a sucker but we call here vine. Do we need to nip this too for more flowers n branches as in bottle gourd? No need. Instead of nipping bury the stems. They support the main plant. For Pumpkin when is the first harvest? How many harvests can we expect? I have seen pumpkin plant growing up to 5 months. After that, it dies. In vines, I have seen ivy gourd which lives. 3-5 years may be a lifetime. Elders told that spine gourd (Aagakara in Telugu) grows up to 15years. Any yield data per acre? Statistics and yield data still not recorded as per my knowledge. Can one propagate these gourds with stem cutting? Can propagate but climate will pass away.